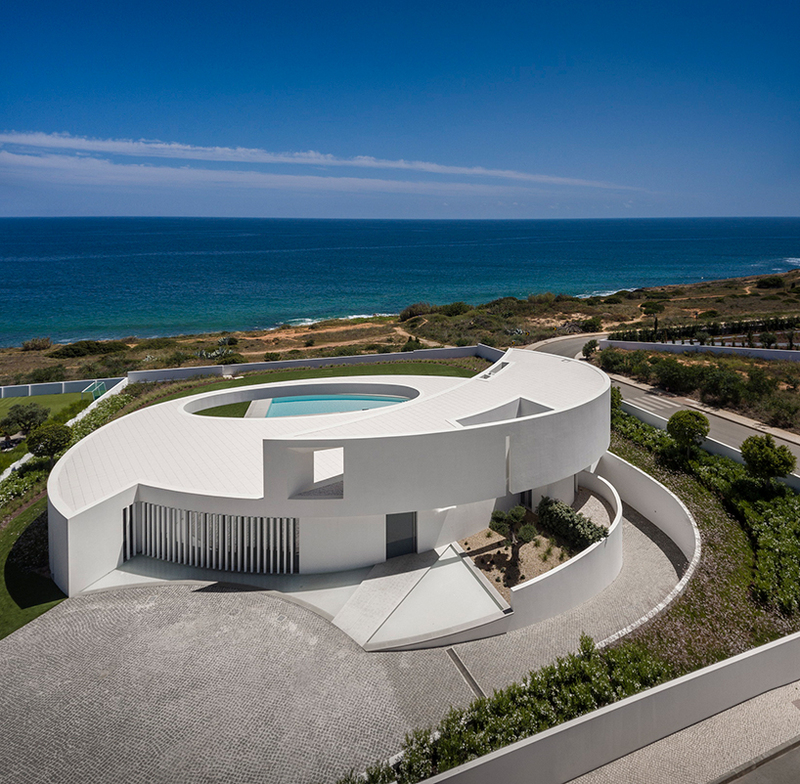 architecture in portugal surveys the contemporary condition of the country’s built environment, showcasing a range of innovative projects and the diverse materials and unconventional forms employed in their construction. 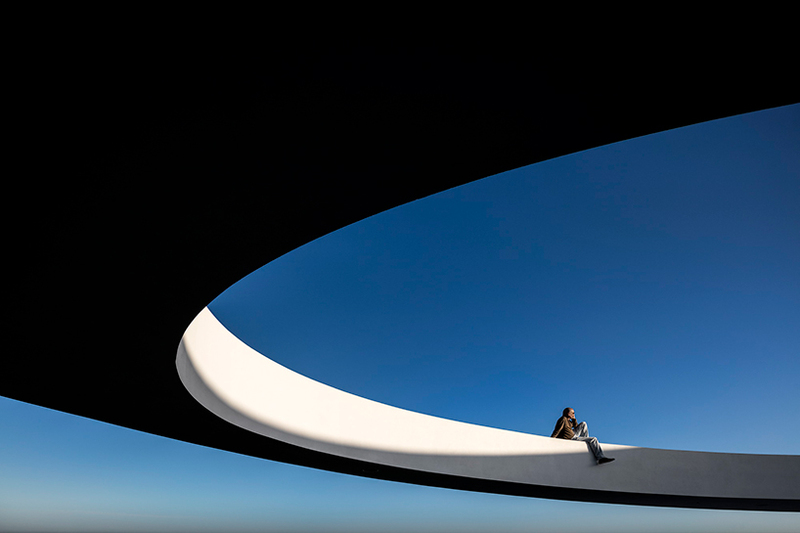 fernando guerra is a portuguese architectural photographer. 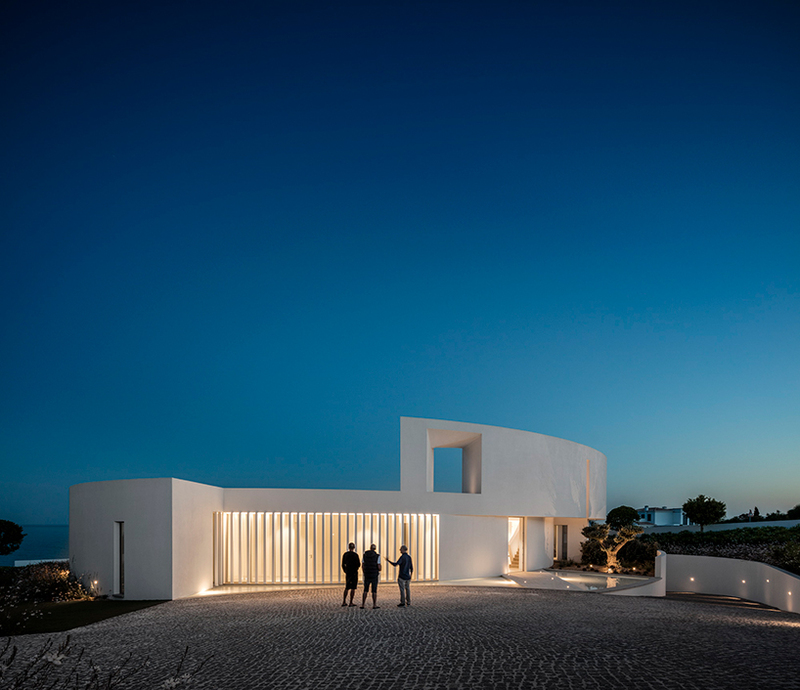 he opened studio FG+SG together with his brother, and both are responsible in large part for the diffusion of portuguese contemporary architecture in the last fifteen years. 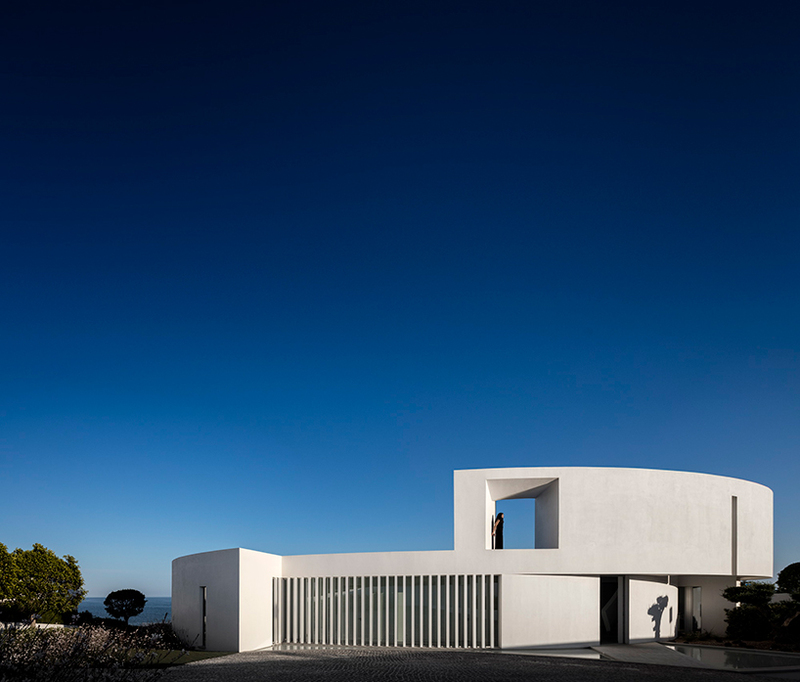 mário martins atelier has designed ‘casa elíptica,’ located on a naturally sloping terrain in luz, portugal. 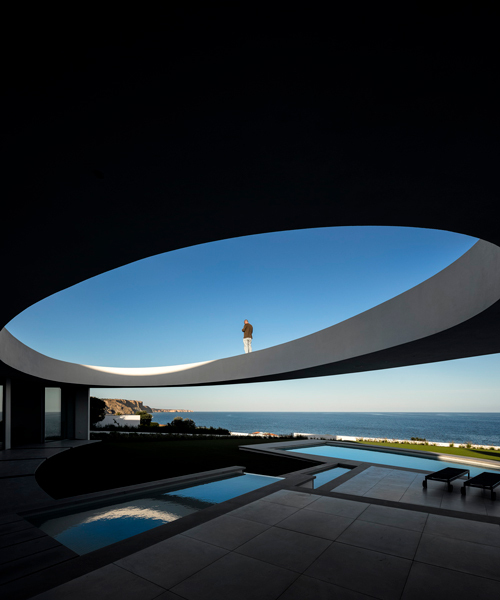 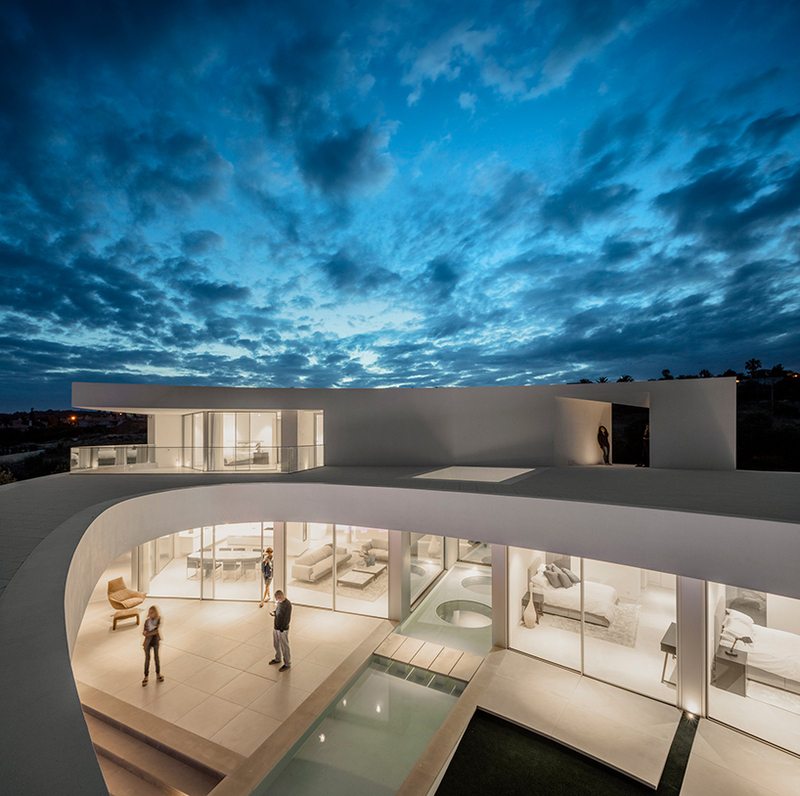 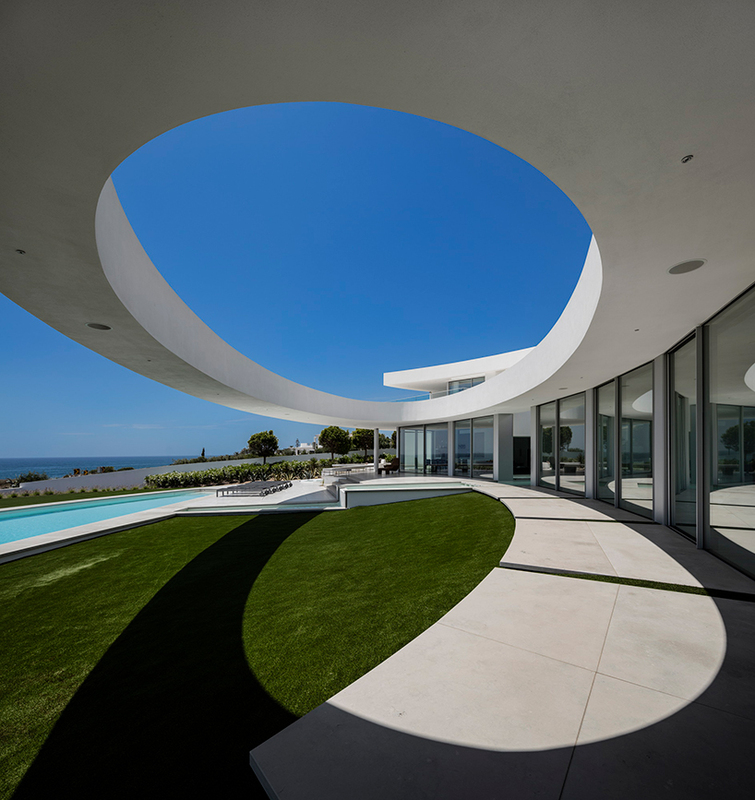 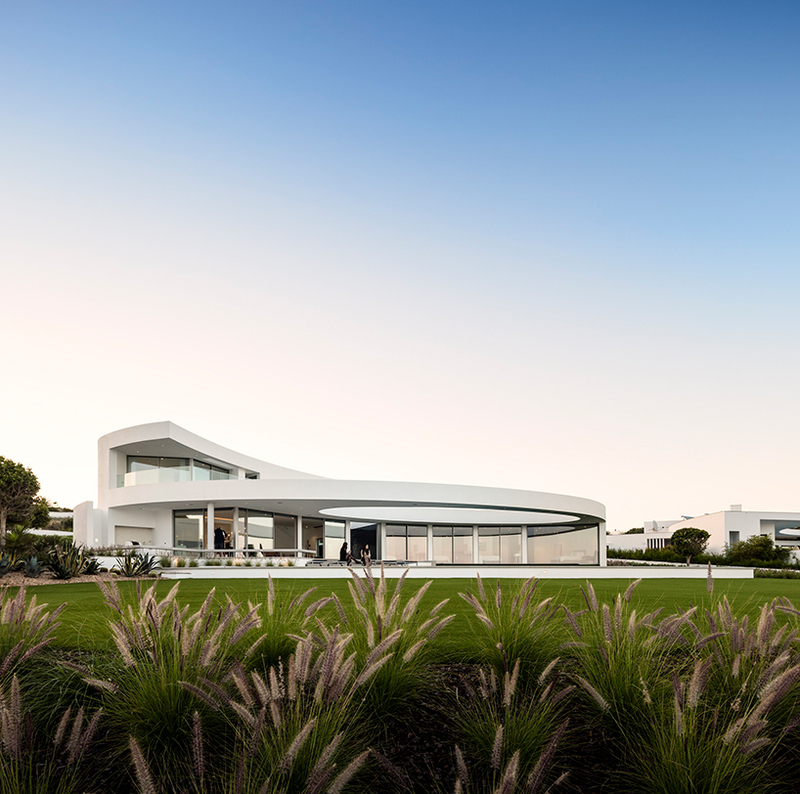 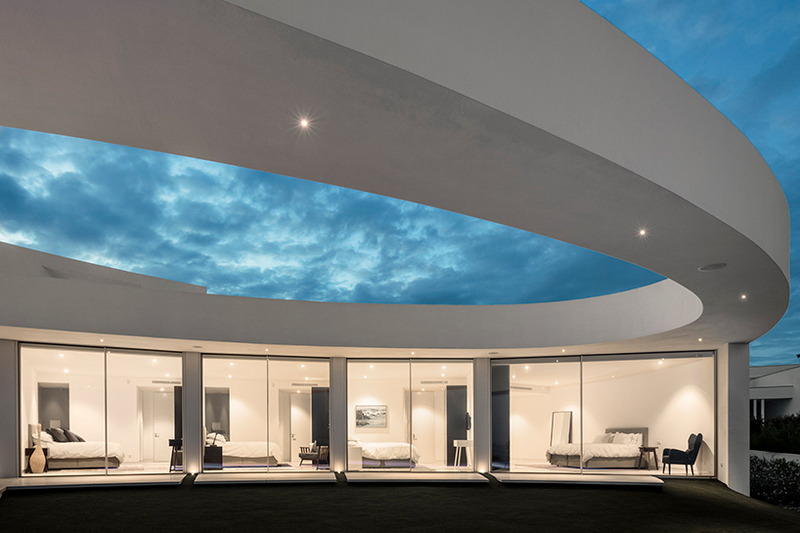 the scheme, photographed here by fernando guerra, evokes the fluidity and lightness of the coastal area while embracing the natural, curvilinear shapes of the landscape. 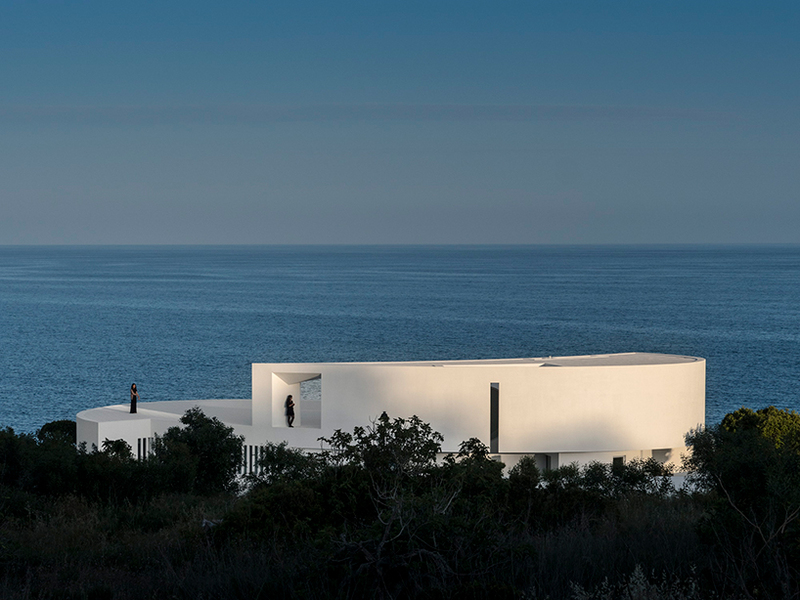 the unified interior and exterior spaces are both an intense white, a characteristic of many homes that extend along the seaside slope. 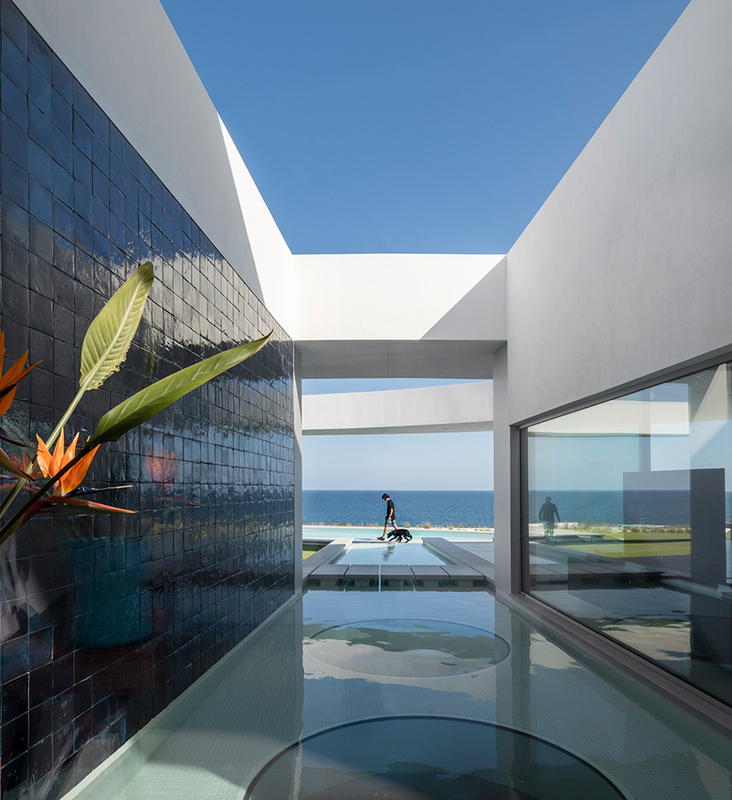 mário martins atelier has sought to create a connection with the existing, neighboring house to the east, relating back to the concept of ‘balance’ which lies at the foundation of the design. 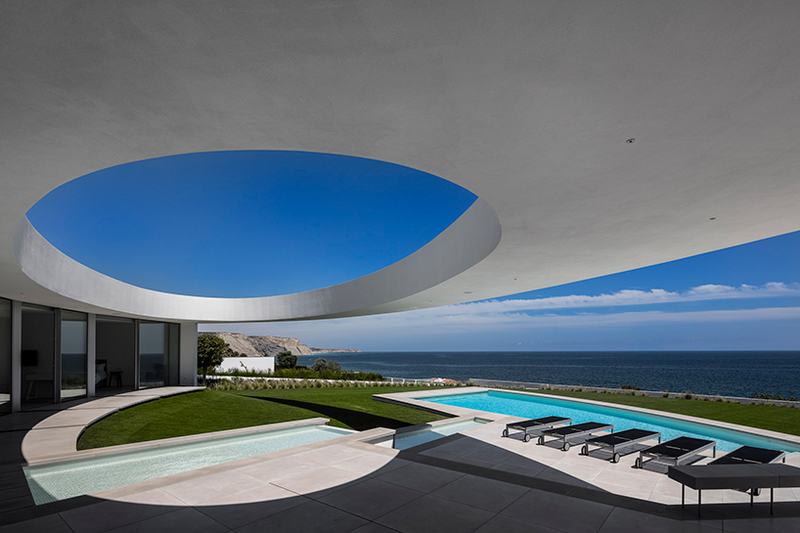 this sense of equilibrium can be found throughout the structure. 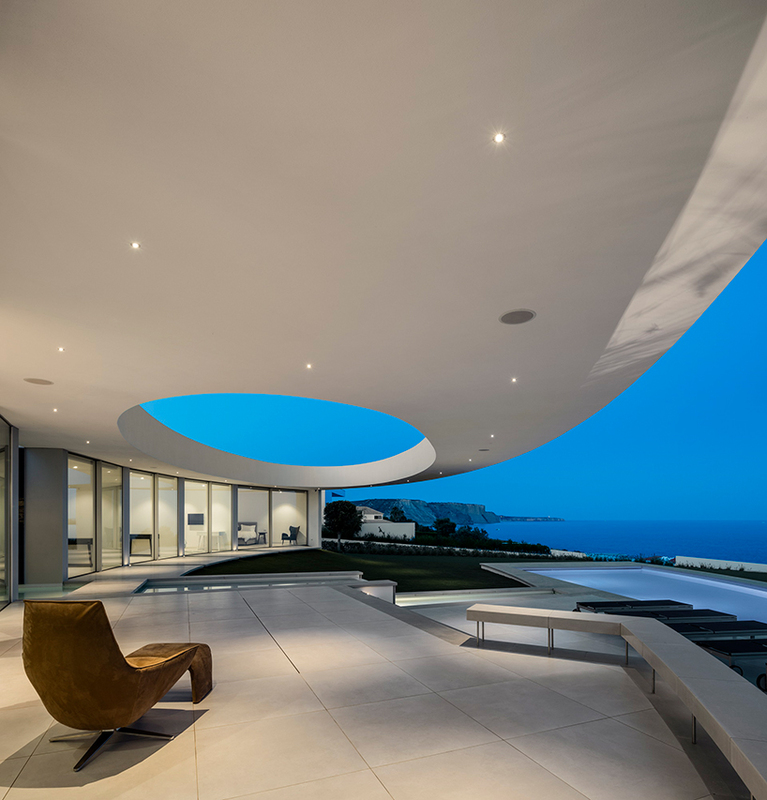 the density of the elliptical base contrasts greatly against the oculus that floats above the outdoor patio area — creating a dynamic relationship between both positive and negative spaces, density and airiness, and light and shade.